Stylish, efficient, and economical are words that describe the J03 Java Wall Station. Features two full-extension drawers and a 48" wide work surface w/ holders for blow dryer and two curling irons. 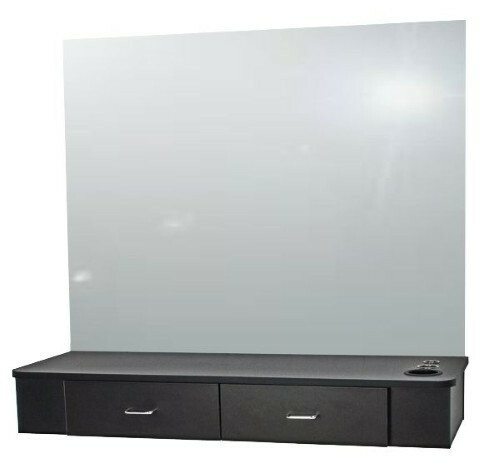 Measures 48"W x 16"D x 7"H and easily mounts to the wall with fasteners appropriate for wall construction.